I just got one from Blunt for $125 shipped for my Dads e30. Bit more expensive but its a legit Bmw part. I've heard mixed reviews on the quality and fitment of the ebay ones. Yeah I bought mine from getbmwparts and it was 115 shipped. Oem part. Yeah I would go for the one from Blunt or Getbmwparts. And that ebay listing is wrong, it definitely won't fit on 'stock' 84-87's. Thanks a lot guys. Going to order the one off of getbmwparts. Guess I will spray it black when it gets here. I got it in! Sprayed it black, looks great. Does anyone have a good idea of how I should secure it on there so no one steals it? Also; When I ordered the part, I gave Getbmwparts special instructions. 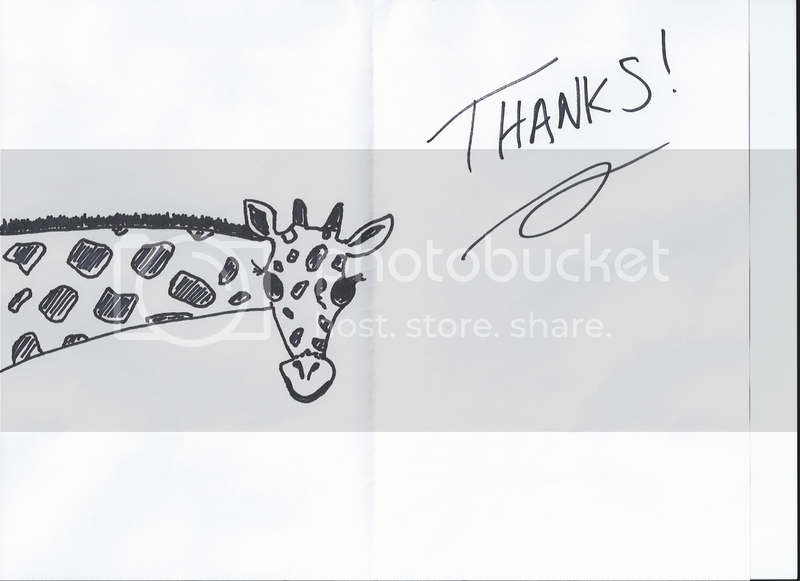 I told them If they draw me a picture of a giraffe, "I would never ever, order parts from anyone else. I promise."... Well, look what was attached to the package. That is freaking awesome, hahah. You really think someone will steal the lip off the car? Anything you do to secure it so no one steals it would ensure it would shatter if hit. I'd zip tie the crap out of it and that's it.